We’re not very nice internet users, at least not all of us. We’re an internet loving people, we’re just not very loving online. We’ve got quite the culture. A shaming culture. We tend to belittle others online so we make ourselves feel better. Not all of us do that, but there are quite a number that do. 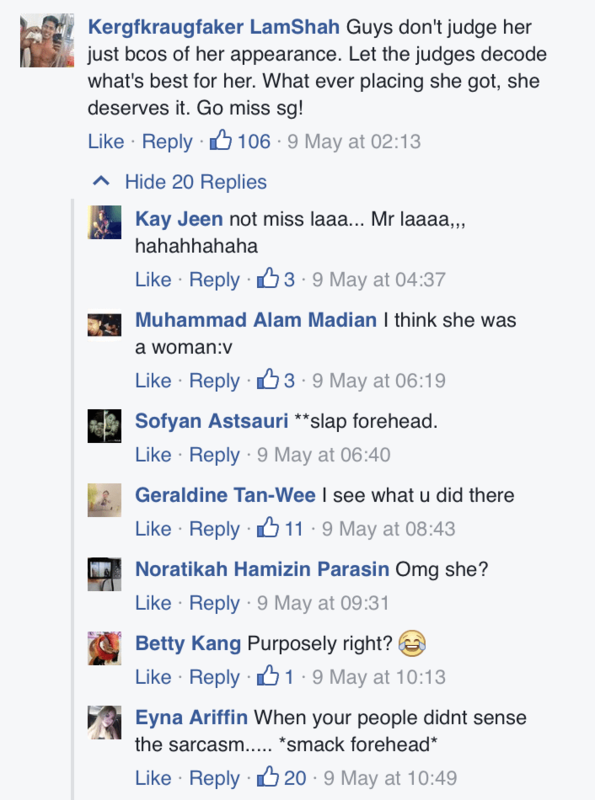 There are many instances of Singaporeans shaming another, we’ve seen it all on the ever popular website “Stomp”. If you’re sitting down on the train but happened to be in a reserved seat, you have to worry about finding your face plastered on the internet. If you’re serving your NS and some “Lao Jia” that has ORD-ed eons ago sees your uniform a little out of place you can get shamed for that too. There’s really no end to this, you can get flamed for just about anything here, including representing your nation. 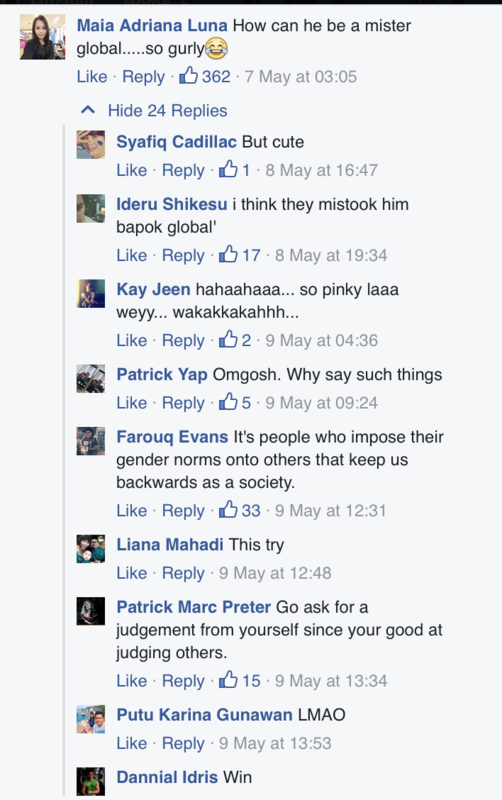 Just take a look at the brutality Mr Global Singapore received on Facebook. This isn’t the first time our own representatives have gotten flamed. 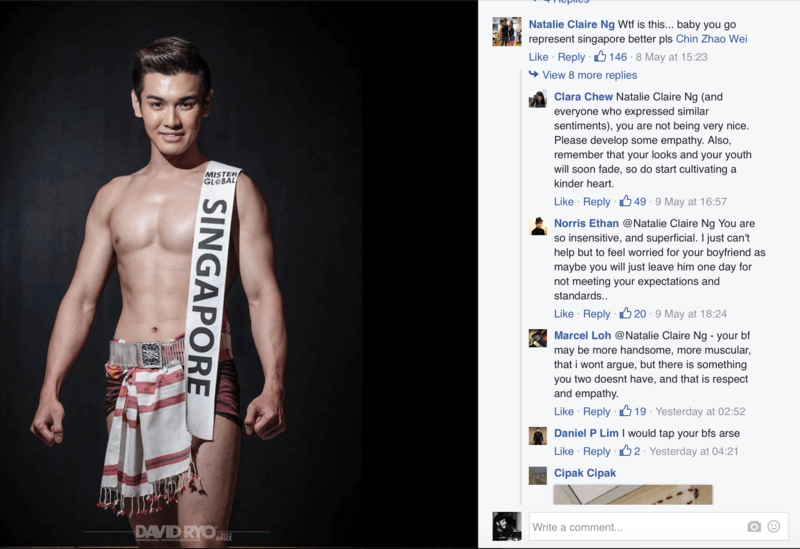 Our netizens blasted Miss Singapore winners a few times. And sometimes after a series of flames we reveal some weird people like Ris Low. But that shouldn’t be our mantra moving forward. » We’re not very nice internet users, at least not all of us.